Beautiful card Marsha. 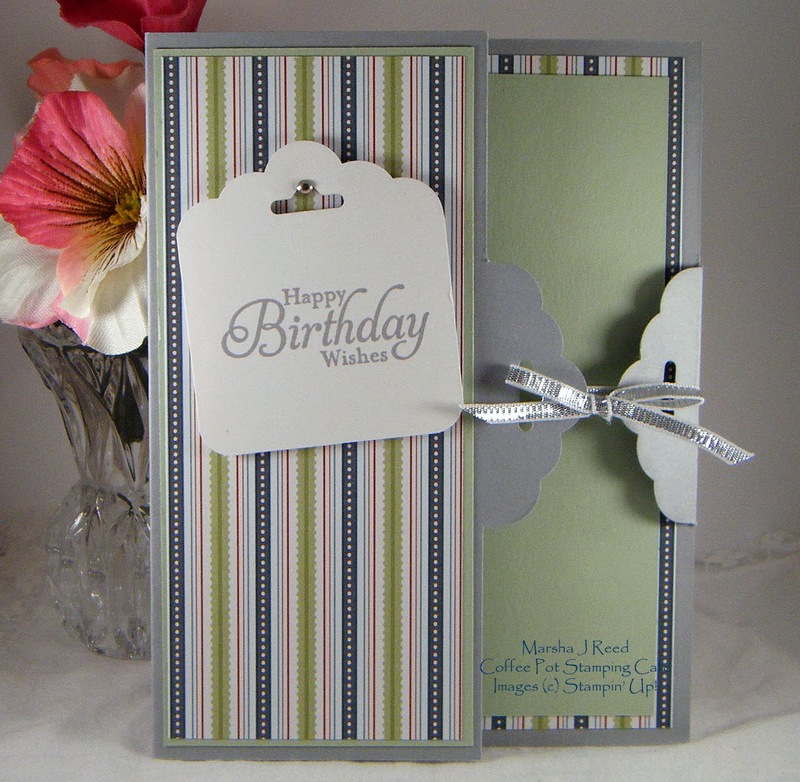 I really love these Scalloped Tag Topper cards. So many fun possibilities. Very cool that you added the sentiment on yet another tag topper element. With the tag looking like it's hanging from the brad it reminds me of the do not disturb signs on hotel doors. Fun look. Hope you are saving ideas for the upcoming hop that's less than 2 weeks away. Hee, hee.